August 19, 2017 August 11, 2017 by Beau H.
The handsome pair of chukka boots to get you ready for fall. Alright, Style Guide readers. I’ve got good news and … more good news. The good news is that you’re really going to like today’s Style Pick of the Week. The better news is that we’re one week closer to everyone’s favorite #menswear season — fall. OK, maybe jumping the gun a bit (or a lot). And yet, it pays to be prepared when it comes to the best men’s gear for the season — right? So, let me introduce you to the Hudson Shoes Lewiston Chukka. Yes indeed, the Lewiston Chukka is a heck of a pair of chukka boots to put on your shopping list for fall. Heck, they can help you step into any situation in style, at any point in the year. Seriously. A classic pair of men’s chukka boots can work wonders with the simplest outfits. A stylish Oxford shirt and slim dark denim? Throw on leather chukka boots. Slim grey denim, a henley and a blue denim jacket? Lace up the Hudson Shoes Lewiston Chukka. A herringbone blazer and navy chinos when the fall rolls around? The Lewiston Chukka is your best bet. And the best part is, you can get ’em for a nice deal through Bespoke Post. The cognac leather upper is all style, while the leather lining is all comfort. And the rubber sole is made for navigating tougher terrain than your average pair of dress shoes. That’s really not all the Lewiston Chukka offers, truly. A closer look at the sleek profile of the Hudson Shoes Lewiston Chukka. In addition to the solid price for a pair of year-round chukka boots, you’re getting neat design by way of Britain. Like the Crockett & Jones chukka boots that James Bond wears so well in “Skyfall,” the rubber sole on the Lewiston Chukka adds a bit of durability and traction in the rain and on other slippery fall surfaces. Again, just because it’s August doesn’t mean you shouldn’t look ahead. To wit: The Lewiston Chukka is going to sit just right under grey flannel trousers and a navy topcoat on a blustery day, and you can even wear ’em to the office and then to happy hour after without needing to switch them out. That’s what I’m talking about, folks. All of that means you should give the Lewiston Chukka a serious shot now –and later in the fall season. Oh, and the custom stitching means you’re getting something no other shoe brand can bring to the table; well-done, Hudson Shoes. So, what do we think of the Hudson Shoes Lewiston Chukka? Are we ready for fall? Rest assured, we’ll be talking more in the months to come about the best men’s boots for fall and beyond — and you can expect the Lewiston Chukka to make that list. September 14, 2016 September 8, 2016 by Beau H.
Editor’s note: For a full set of menswear shopping picks, click that link. If you’ve followed along with The Style Guide since the very beginning (way back in 2013, folks), you might recall your author extolling the virtues of certain style essentials. Although there are basics like a classic blue Oxford and slim dark denim for your top half, those essentials can be a bit more difficult to pin down in terms of footwear. Or are they? One of those key pieces is absolutely the chukka boot. Versatile, durable, wearable no matter the weather. That being said, there’s no better time to get your footwear wardrobe refreshed (or started, or added onto) than during the fall. It’s perhaps the best time of the year for menswear, what with layering and rugged textures galore — and even if you live in a temperate climate, maybe you’ve got a special place in your heart for today’s topic: The best men’s chukka boots for fall. The time just feels right to dive into a bevy of boots that can exude style both rugged and refined, dressy and casual. That’s darn near the definition of a style essential, and it’s as good of a place to start as any in today’s latest menswear shopping picks entry. Of course, there are all kinds of other boot styles out there for fall and winter (wingtip boots, anyone? ), but rest assured we’ll get to those in good time. Want to see how to style chukka boots? Head to Instagram or search this site’s archives (or heck, head on over to Twitter, too). A rich pair of brown leather chukkas practically made for fall. Having tried everything from the much-loved Roughout Captain Boot to the dependable Suede Scout Chukka, this #menswear writer can definitely vouch for the value inherent in Thursday Boots’ footwear assortment. Checking out the Brown Scout Chukka during a spring trip to Washington, D.C. sealed the deal for me as far as the brand’s chukkas go, and it’s very safe to assume that the rich Whiskey Scout Boot will perform much the same. The color is, quite simply, handsome and very wearable with everything from crisp olive chinos and a cream cable sweater to a worsted wool suit. For the price, that’s applause-worthy. A new footwear introduction from a brand that can do just about everything. 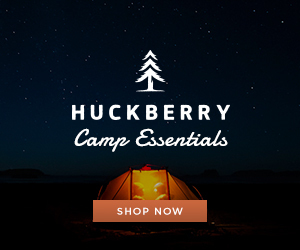 It might not surprise you to read that JackThreads made an Online Shopping Picks entry on this site. However, what might come as a shock is that the much-loved E-commerce retailer now has a line of footwear to back up the rest of its affordably priced, stylish menswear line. Let’s start with the important stuff. First off, that combination of looks and price — can’t beat it. $80 for a chukka that bears the JackThreads name is A-plus, truly. The lower profile, Taupe colorway and crepe sole make them the ideal weekend chukka — pair them with a broken-in pair of blue denim and a crewneck sweater for a put-together casual look, or mash them up with slim wool trousers and a navy cardigan to head back to the office. Oh, and pick up a second pair while you’re at it — did we mention the excellent price? Equal parts casual and sharp. 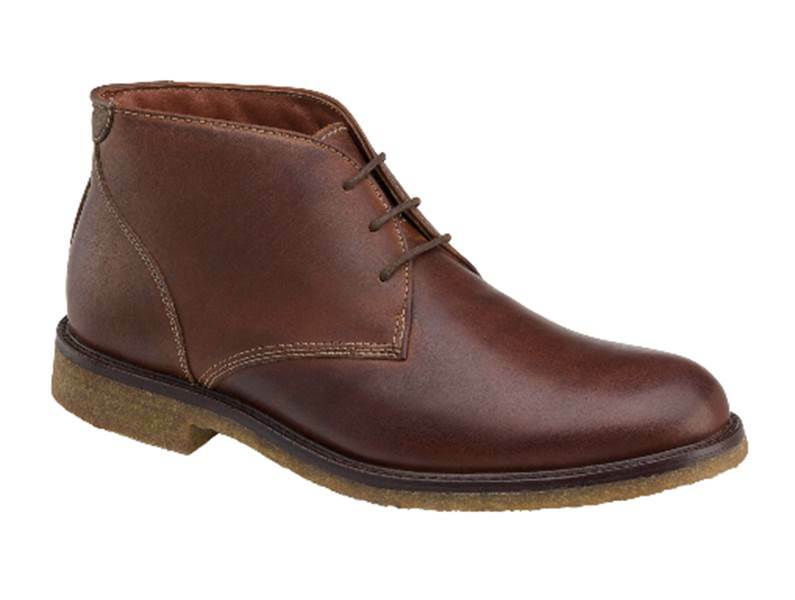 If the Thursday Boots chukka seen at the top of the page is a dressy chukka boot, and the JackThreads chukka boot seen here above is a casual chukka boot, the Johnston & Murphy Copeland Chukka is something of a hybrid. Featuring a deep red-brown oiled nubuck that should break in beautifully, the contrast stitching and crepe sole give it a casual feel. 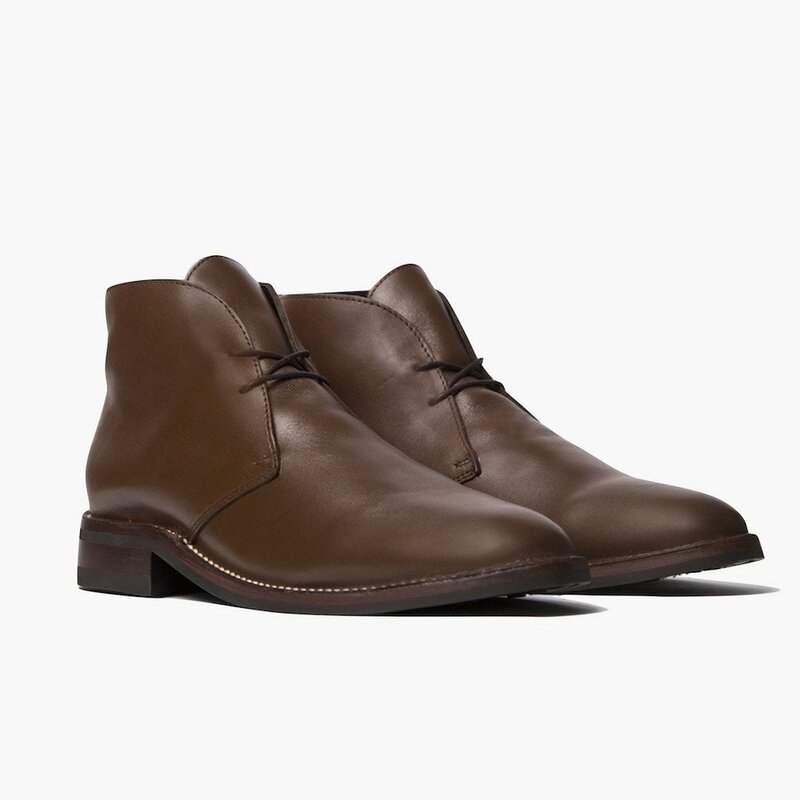 But make no mistake, this is a still a dependable leather chukka boot you should pair up with navy suit trousers and a grey cardigan, or a broken-in pocket tee and dark denim for weekend errands. Casual, reliable and waterproof, all at the same time. Chukka boots that offer a little bit of everything are nice to have on-hand — especially if your fall adventures take you everywhere from a football game to park hikes to pumpkin patches (yes, we’re going there already). In particular, these SWIMS chukka boots are fully waterproof, and combine the styling potential of a casual crepe sole with the functionality needed for tricky fall weather. The silhouette feels more like a sneaker than a classic chukka boot, and that’s not a bad thing — this pair would work especially well with burgundy corduroys and a long-sleeve merino tee for aforementioned weekend adventures. A unique chukka boot that works for both spring and summer style scenarios. If you perused the pages of this site back in July, you’re familiar with the Red Wing Heritage Weekender Chukka. It’s a lighter-weight chukka boot that works equally well in the spring and summer as it does during the fall and winter — that makes it worth the price alone. It’s a new addition to the Red Wing Heritage line that plays off the brand’s rugged heritage while offering up a bit more flexibility and comfort than a thick-soled pair of winter boots. We’ll get to that point in the season eventually, but for now, know that you just might have a chukka boot fit for adventures seven days a week — and then some. They’re the ideal complement to classic navy chinos, and they’ll put in plenty of hours beneath trusty dark denim and a slim fall flannel shirt. Did the above list of the best men’s chukka boots get you thinking a bit? A trusty pair of chukka boots can seriously become a multi-day workhorse in your footwear arsenal, easily wearable with business-casual or weekend-casual outfits. Embracing the changing seasons can be a whole lot easier if you have the right gear to wear, too. That certainly starts with a rugged, dependable pair of chukka boots – after all, there really aren’t too many fall-centric outfits that don’t start with a great pair of boots (or maybe that’s just your author’s opinion). And with such great variety on the market — from a fresh style done by a heritage brand to an entirely new E-commerce offering from JackThreads — there are plenty of picks worth exploring. Want to share your own? Leave a note in the Comments section below! Until our next menswear shopping picks post — coming next week — stay tuned for the Friday Read, and stay stylish.